Built in the 1850’s the home was purchased by the College in 1902 for the home of the college president. 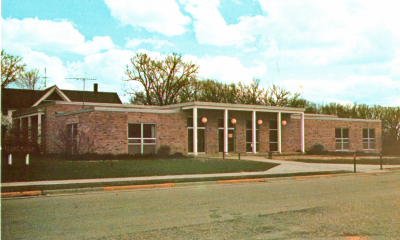 In later years it served as the Music studio and then the administrative offices. The Administration building is privately owned. Built in 1857 as a dormitory, it housed both men and women until 1867. From then until a new dorm was built in 1962, it housed only women. For a brief period of time it housed men again but shortly became the offices for the faculty until the college closed it in 1980. Goodrich Hall is privately owned. 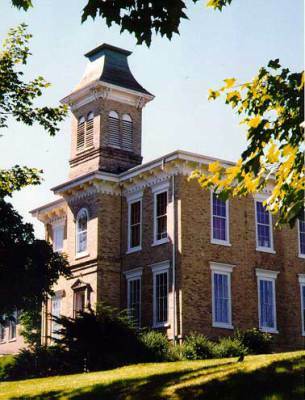 Built in 1855 the building was used for classrooms and office space. The original building was half the size it is today. An addition was built in 1867. This is the same year the college was chartered. The College closed the building in 1980 to ease financial stress. 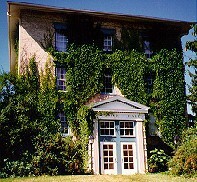 Main Hall is now owned and operated by the Milton College Preservation Society, a non-profit organization and is currently a museum, and archives of Milton College History 1844-1982. Whitford Hall was built in 1904-06 and named after President Wm Whitford, the first president of Milton College. It housed the science labs, classrooms and the library that was funded in part by Andrew Carnegie. 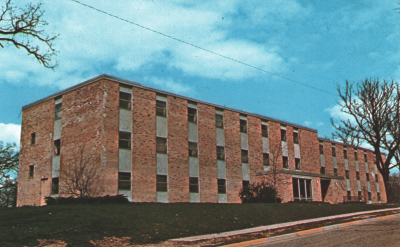 The College closed Whitford Hall in 1980 for financial reasons. 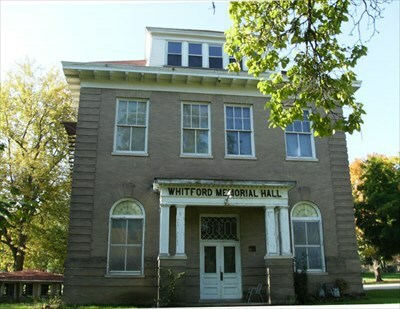 Whitford Hall is privately owned. Before this building was home to the fine arts center, it was a gymnasium-auditorium. Completed in 1911, the gymnasium-auditorium replaced the inadequate athletic facilities that had been housed in Gent’s Hall (former men's dormitory which no longer exists). Music students began to outgrow the Studio. Once the Dunn Athletic Center was completed, a new addition was made to the pre-existing gymnasium to create the Daland Fine Arts Center, in memory of President W. Daland, Dean J. Daland, and their families who supported the college. Today the School District of Milton resides there. The first library in Milton was part of Milton College. Individual libraries from various societies, that contributed to both community and student life, made up the first library at Milton College. A gift of books and $1,000 from Dr. Daniel C. Babcock further helped to establish the library. Named after Babcock, the Daniel Babcock Library was initially located on the first floor of Main Hall and further funding issued from Babcock's will continued to support the library. On November 12, 1904, The Woman's Village Improvement Club, organized by Mrs. J.G. Carr, set out to raise funding for Whitford Memorial Hall. They ultimately raised over $900. Philanthropist Andrew Carnegie gave $6,500 toward the construction of Whitford Hall. When the hall was completed around 1907, the library was relocated to the new building. By 1916, the library held about 10,000 volumes. 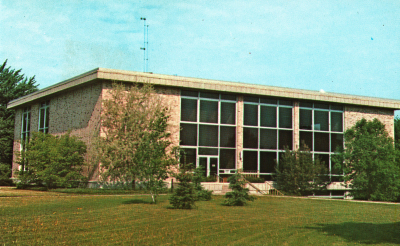 In 1967, the library moved from Whitford Hall to the Shaw Memorial Library, which was dedicated to Dr. Edwin Ben Shaw and Professor Leland C. Shaw, father and son professors of the college. The Shaw Memorial Library is now the public library of the City of Milton. 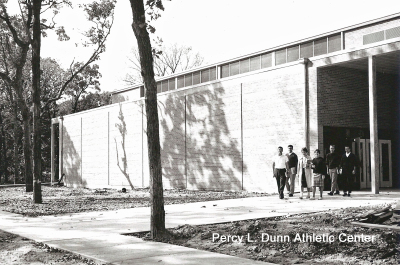 The Percy L. Dunn Athletic Center was completed in 1960 at a cost of $250,000. The Percy L. Dunn Athletic Center is now privately owned. 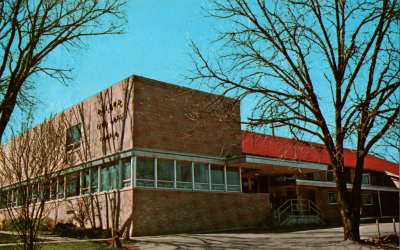 The Campus Center housed the bookstore, cafeteria and Wildcat Den (the Student Center). The former Campus Center building is now privately owned and houses offices. The former Milton College dormitories are now privately owned apartment buildings. 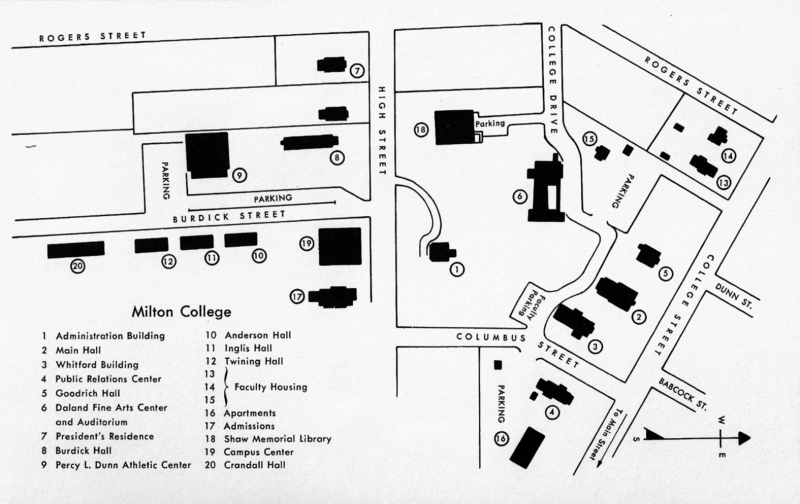 Note: Main Hall, Goodrich Hall and Whitford Hall were going to be razed after the bankruptcy in 1982.